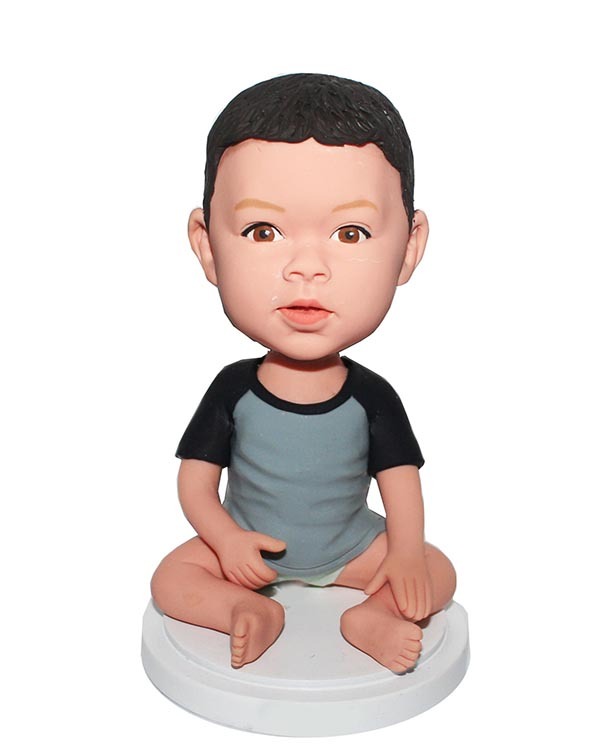 Wearing a gry and black T-shirt and a diaper, this custom baby bobblehead seats on a floor. This custom casual kid bobblehead doll is a great birthday present! It also the best way to capture the tender moments of the child's growth. It's fun, unique and personalized.